Michele didn’t expect that she’d lose her husband of 25 years to cancer, her mother, who was also her best friend, to an aggressive case of dementia and her teenage daughter to suicide, all within a five-year timespan. She thought these types of major loss would come later in life, not when the people closest to her were young and healthy. Raised in Christian homes, Michele and her husband, Brian, felt that their faith was a cornerstone that held their relationship securely together. In the first several years of her adult life and marriage, no problem seemed too big or difficult to handle for Michele. The couple was committed to church and weekly Bible studies, and they maintained close friendships with their neighbors, who were also Christians. They faced their first major challenge when trying to start a family. Initially struggling with infertility and miscarriage, Michele eventually gave birth to three boys, and they later added an adopted daughter. All of their children were exactly three years and two months apart in age. “After all our kids, life seemed to be cruising along without any major bumps,” Michele said. “Brian and I used to say that we don’t have problems like others do. No major losses, no strife in our marriage … though, four kids is enough craziness." But the stress was yet to come. Shortly before celebrating their 21st anniversary, Brian came home from the doctor with a report that would upend the balance they’d found in their marriage and family life. As if a cancer diagnosis weren’t bad enough, an economic recession was just beginning, casting a cloud of financial uncertainty over the couple at a time when they knew they’d have extra expenses. At the time, their children’s ages ranged from five to 14, and Michele prayed to God for just a little extra time for Brian — to let her kids grow older before dealing with the loss of their father. Over the next four and a half years, Brian fought through the ups and downs, remission and return of the cancer. Their family, friends, and small group rallied around the couple. The four-and-a-half-year-battle Brian fought allowed Michele to fully cherish every moment the couple had left together. Though the loss was tremendous, she felt like she’d been given extra time to go through many of the emotions and grief alongside her husband. Still, there were moments when the emotions overwhelmed her — Michele couldn’t help but sit and cry. Eighteen months after Brian’s passing, Michele sat next to her friend, Dena, at church, crying throughout the service. She had been trying to reassemble the pieces of her life. 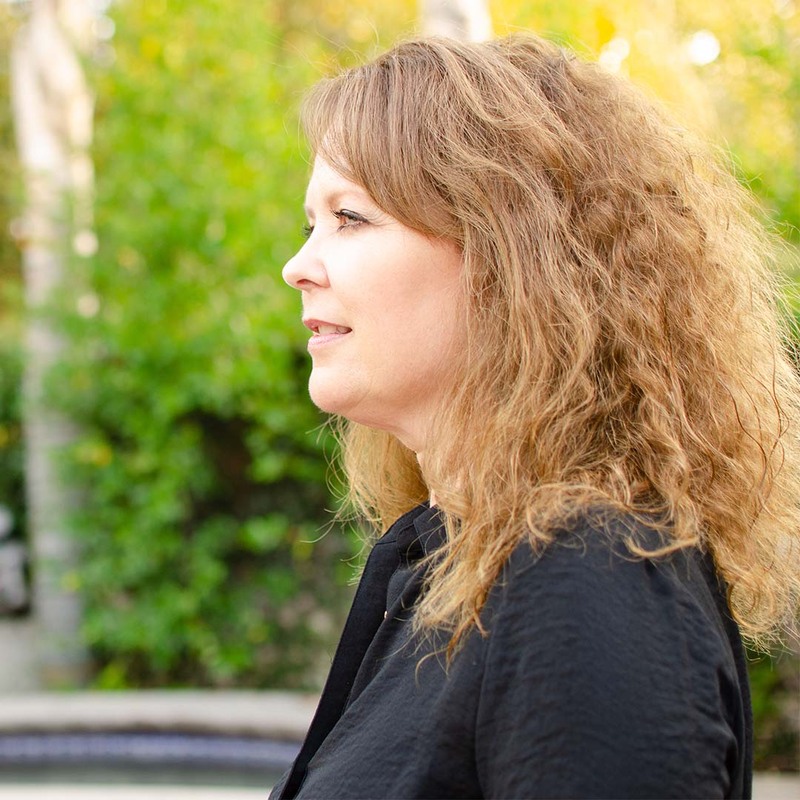 Michele maintained friendships and relationships felt natural even after becoming a widow, but Dena still encouraged Michele to check out the Singles ministry. Dena had seen a sign for singles small groups signups and encouraged Michele to check it out. Her friend persisted, and Michele agreed to give it a try. There was a small group meeting that weekend just around the corner from her house. Even though she lived close, she had never met Francois, the small group host. The night of the small group, 35 people packed the house for the small group, and Michele began to get to know many of the other people in the Singles ministry. She was a little hesitant to start revealing her entire painful story, but as she spoke with Francois, she began to see parallels in his own life that matched her experience. Francois’s wife had also passed away in 2012 from cancer. He admitted that he felt uncertain that he could relate to other singles but felt compelled to at least give it a try. After speaking with Francois about his experience as a widower, she realized that there is a different stigma that men tend to carry when they try to move on after the death of a wife. Francois had plenty of people around to support him, but they didn’t seem to want to get too close. People would drop off meals, but not stay and visit, even though they were invited in. He was feeling increasingly isolated and wanted people to talk to. He easily related to Michele, and they quickly became friends. Before the two realized it, they were regularly having lunch and dinner together, and slowly kindling a romantic relationship — something neither of them expected. Realizing Michele’s kids were still reeling from losing their father, Francois gave them time and space to process, and was very open and welcomed the conversations about his relationship with their mother. Michele saw how much of an impact Francois had been in their lives the moment the kids told her that they wanted to be one, whole family and not feel separate. On Mother’s Day, Michele’s 18-year-old son gave her a family tree that had Francois’s name on it right next to hers. Though Michele had discovered a lot of healing in her life since Brian’s passing, her daughter Mikayla struggled to overcome the loss and changes it brought to her life. Even before Brian’s passing, Mikayla had struggled with depression, anxiety, and attention-deficit disorder (ADD). She grew increasingly temperamental and out of control. Michele exhausted every option trying to get Mikayla the proper treatment and help, but nothing seemed to improve her situation. Mikayla was surrounded by an incredibly supportive and loving group of people. The principal and teachers at her school knew what she was going through, made room for her to process, and gave her space when she was having a particularly rough day. At church, the volunteers and staff in Saddleback Kids and, eventually, Junior High Ministry (JHM) helped instill a passion for Jesus in Mikayla that was evident in her life. One summer, Mikayla told her relieved and thankful mom that she made friends with everyone during her week at JHM Summer Camp. Mikayla was so excited about following Jesus that she requested to be baptized again, making it her second time (one month prior to passing away). In spite of some pieces of her life fitting back together after getting married to Francois, continued heartache waited just around the corner for Michele. First, her mom, who was also her best friend, was diagnosed with dementia and passed away within a year from the disease in 2015. And afterward, Michele watched as her stepfather’s health began to rapidly deteriorate to the point where he would need to be placed in hospice care. He has since moved in with Michele’s family, and she has arranged for a caregiver to assist him. Since moving in, his health has improved dramatically to the point where he was able to come off of hospice care. Tragically, Mikayla ended up dying by suicide in 2017 at 14 years old. This series of events sent Michele into a new depth of pain. Michele still questions if she could have done more to help Mikayla, but as she analyzes the situation, she sees that she had everything in place to assist Mikayla with the mental illness she wrestled against. “People often ask how I’ve gotten through all this,” Michele continued. “I have people and groups in place because these challenges come for everyone in life. I’ve attended the Grief Share workshopto meet talk through my losses and pain. I still struggle with fear, pain, and doubt, but what I realized and held onto is that the Holy Spirit is my companion and with me every step of the way, no matter how I feel or what I think. When the pain was strongest, I felt like praising God in the midst of it. As I stood by Mikayla’s bedside, watching her on the ventilator in ICU, the first response I had in that moment was to worship God. I know that doesn’t make logical sense. My close friends and small group joined my family at Mission Hospital and we held a spontaneous night of worship, praising God in the midst of our sorrow. I felt God’s presence and peace in that moment. The next day, Mikayla passed away. God's Word has also been a constant encouragement to me through these trials. I read Isaiah 61:3 and it spoke to me that I would find hope in spite of the deep sadness I was feeling. My despair can turn into praise, I can be full of joy instead of mourning. Those words brought me a lot of strength. And the verse that I continually go back to is Joshua 1:9 — 'Be strong and courageous. Do not be afraid; do not be discouraged.' It has become my life verse."